Looking for the great gift for the city dweller? How about laser cut wood city maps that make the most intriguing wall art?! From the Etsy shop, EnjoytheWood, this map is the core of the city of Atlanta, however they can do any city. Flawlessly and intricately laser cut, the wood map uniquely captures every road, street and highway travelling into the city’s main core. Absolutely fascinating to look at, it is a wonderful house warming gift for those who are missing home. Additionally, the city map is made from birch plywood and comes in a variety of sizes to choose from. Be sure to discover more cool art in our section, Etsy Art. 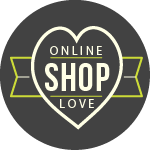 Welcome to OnlineShopLove.com, a curated site featuring cool stuff to buy online. You will find unique gifts, jewelry, home decor and more from the best Etsy shops and other indie online stores. Be sure to follow us or sign up for email alerts so you are always the first to see the hottest products. Copyright © 2018 ATTENTION GETTING MARKETING. All Rights Reserved.